Created and owned by the mighty Nintendo video games company, Pokemon is the second most important game franchise in the world, being beaten only by Nintendo’s own Mario. 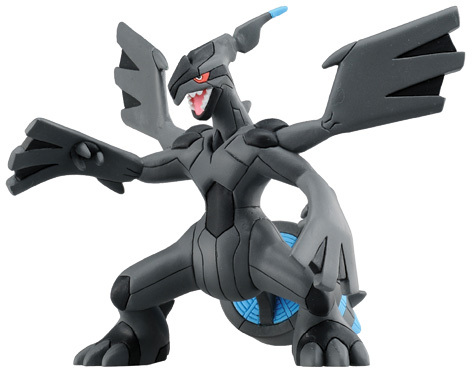 The Pokemon characters featured in the games have been transformed into many different areas of products, with action figures, toys, books and trading cards being the most important. For adults, the rules of playing with Pokemon trading cards seem almost incomprehensible, yet legions of children worldwide embrace the system and help to develop the brand as it progresses. New releases are eagerly awaited, and sell out as soon as the shops receive first stocks. Certain Pokemon cards and characters are extremely rare, and this of course has fuelled a huge collectors market around the globe. Feature films have played a big part in the success of Pokemon toys - and there has been a new movie every year since the first one in 1999. Many of the soundtracks have been recorded onto CDs. Pikachu is the main and most recognisable character in the Pokemon series – he was even painted on the side of a Nippon Airways jumbo jet as an icon of pop culture! In 2011 Pokemon got a new lease of life with the launch of two more Nintendo DS games known as Pokemon Black and Pokemon White; these featured over 150 never before seen Pokemon characters. 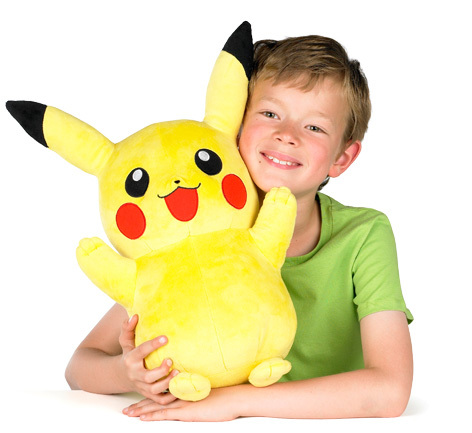 Backed up with a TV animated series, US toy giant Jakks also launched a series of Pokemon toys that are designed to introduce the kids to being an actual Pokemon trainer, as well as plush and action figures of many of the popular characters.